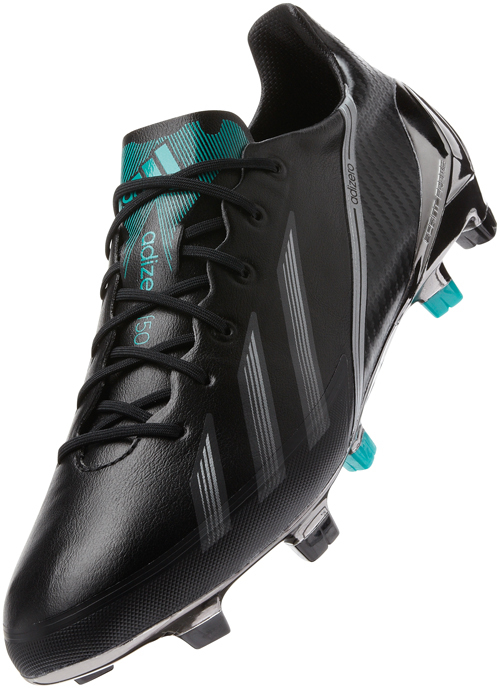 The adidas F50 adiZero has been a staple for the speed boot for the past 3 and a bit years (is it just me or has it felt like the adiZero has been around for longer than that?). But for those of us who are craving something a little bit different, adidas have unveiled the new fancy-schmancy adidas F50 Premium. The boot is only available through miadidas, but with the $290 price-tag, what have adidas done to justify the much higher price? We take a look at the differences between the stock-standard 3rd generation adiZero and the new Premium model. There are two or three big things that differentiates the F50 Premium from the normal adiZero, and one of those is with the upper. 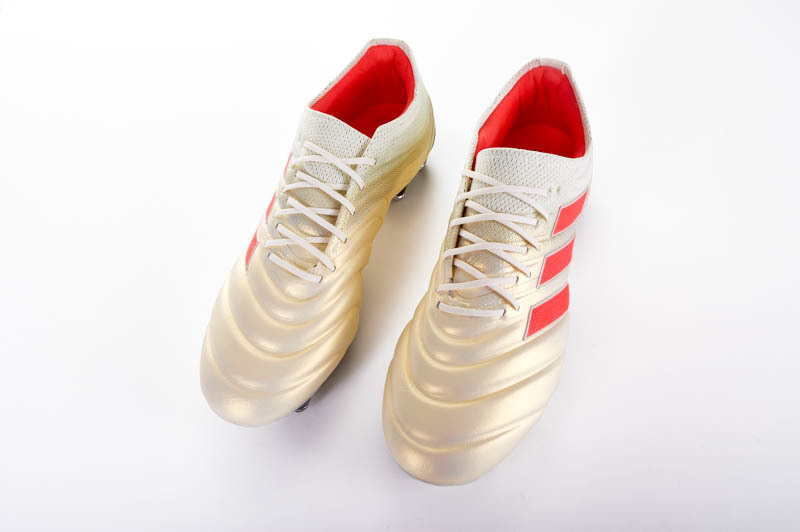 While the normal F50 adiZero comes with either the super-thin synthetic Sprintskin or Goleo calf-leather for the leather version of the boot, adidas say the new F50 Premium “takes our already hyper-light upper and shaves grams”. They have not given anymore clarification with the upper, but the photos of the boot seem to indicate that the upper does have a leather-like grain to it. 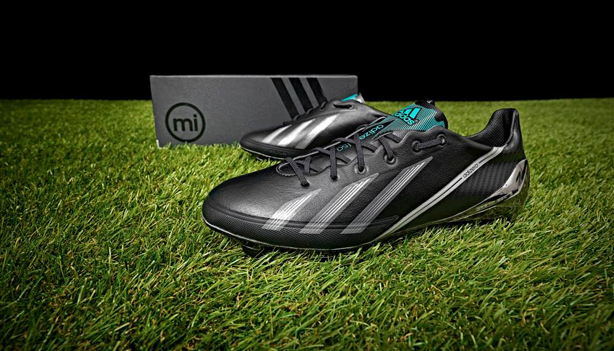 The Messi editions of the adiZero comes with a Sprintskin upper that is lighter than the normal Sprintskin upper and also has a leather-like finish to it, so while we cannot say it with 100% confidence, we believe this “specially designed lightweight upper” is the same as what adidas have rolled out onto the F50 Premium. 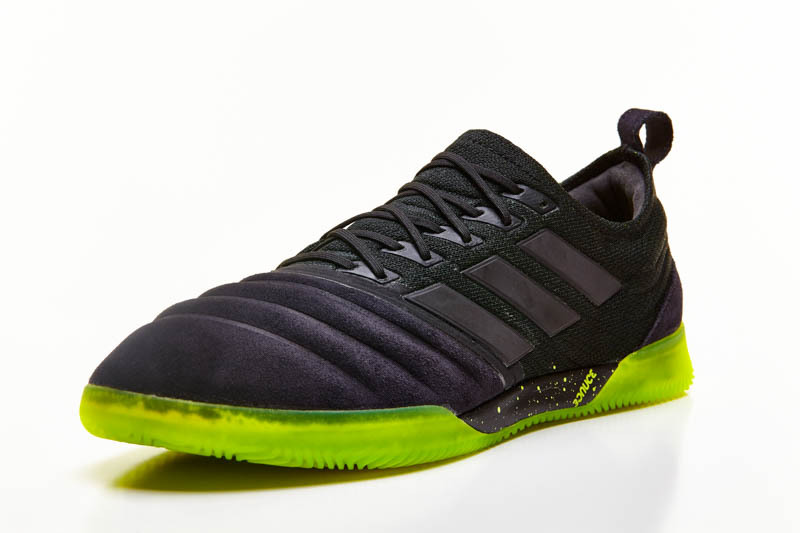 A few people have been thinking that this “lightweight upper” could by Hybridtouch (which is used on the LZ and Nitrocharge 1.0), but we are going to stick by with it being the same as the Messi adiZero. The leather edition of the next generation F50 adiZero is rumoured to have a Hybridtouch upper, so keep an eye out for that. Having tested the first edition of the Messi F50 adiZero myself (the white and red colour way), I personally thought there was not too much difference between the normal synthetic adiZero and the Messi edition. While the faux leather does make the boot look pretty nice, the touch you get is almost the exact same. 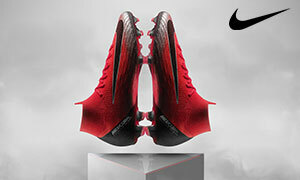 The upper is thinner and lighter, so you do not get a leather-like feel for the ball or anything like that. 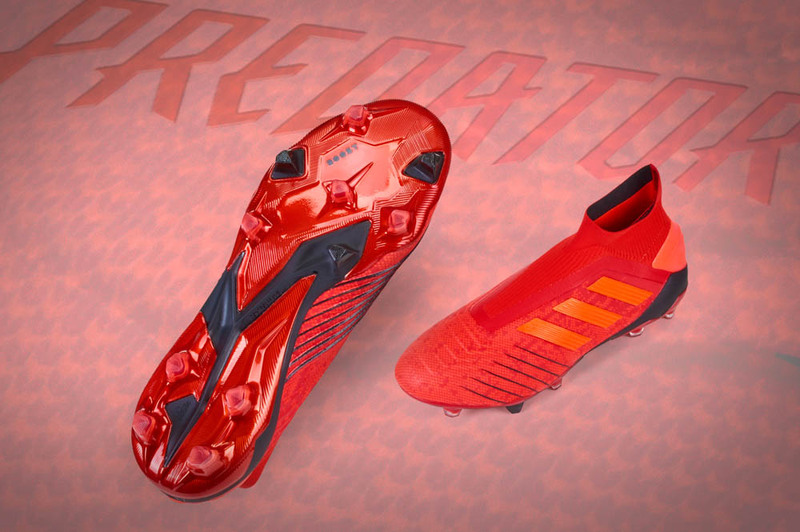 But is does look like adidas is reserving the altered Sprintskin material for some of their special releases, so it does mean that future boots with the different upper will be that little bit more awesome. 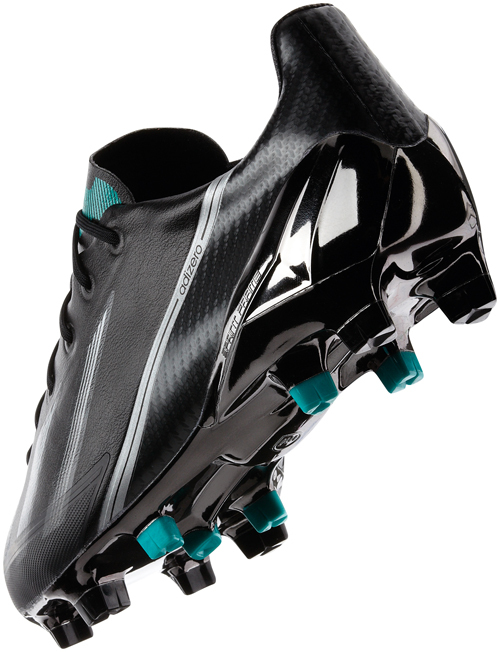 The new F50 Premium comes with a never-before-seen carbon TPU heel reinforcement, and it is arguably the main aspect of the F50 Premium that will entice people to buy the boot. While it does make the boot look that little bit more stunning aesthetically, the main benefit of the carbon TPU heel cup is that it accentuate the performance of the boot by bringing more support through the heel. This is achieved because the carbon reinforcement will bring more strength through the heel in comparison to the normal TPU heel cup. Not only that, it adds a little more protection to a boot where protection is sorely missed. The Sprintframe of the boot also comes with a unique chrome finish that adds a little bit more ‘bling’ to the boot. The Sprintframe gleams when held up in the light thanks to the chrome finish, and we can imagine a few professional footballers who would pick up a pair just to stand out that little bit more on the pitch (I am looking at you James McClean). My beef with adidas boots is the severe lack of extras that you get with their boots. While Nike at least gives you a nice little shoe bag with all of their releases, adidas only throw in an extra pair of sockliners (with adiZeros) or an extra pair of laces (with a few of their other releases). 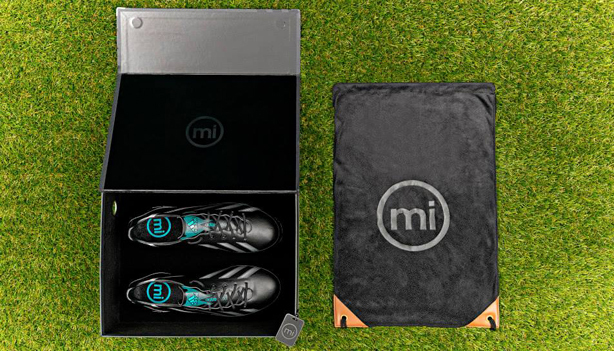 The extra $80 for the F50 Premium does mean that the boot comes with a few unique goodies thrown in. 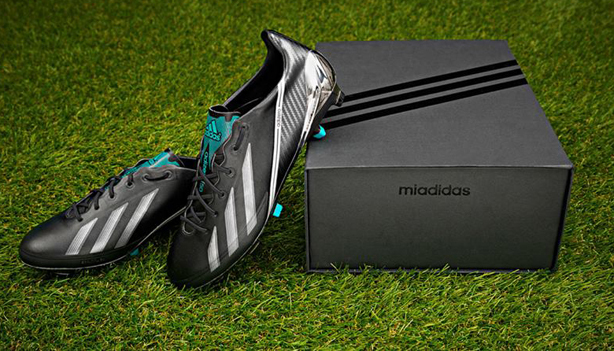 The boots come in a fancy presentation box, but adidas have also thrown in a suede shoe bag and a black miadidas key chain. I have some old f-50 addidas soccer cleats there purple and yellow with white stripes there around 2011 I think, I was wondering what the “mi” does because a friend just gave them to me but under the shoe it has something to put in it? What is it what does it do? Where can I get it?